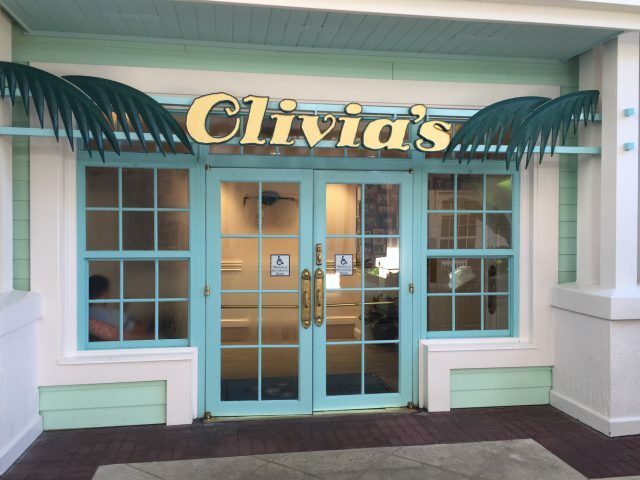 Olivia’s | It's "All in WDW"
WDW Main Street – Episode #353 – Dining Down the River! Hey, folks! 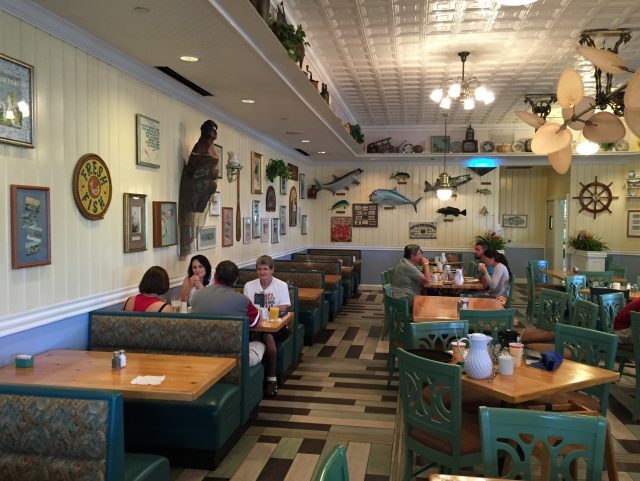 Stop by the Main Street Pub to catch Dennis and Doug as they cover the menus offered by all of the restaurants up and down the Sassagoula River. I’m on my way back to Disney Springs, folks. I really am. 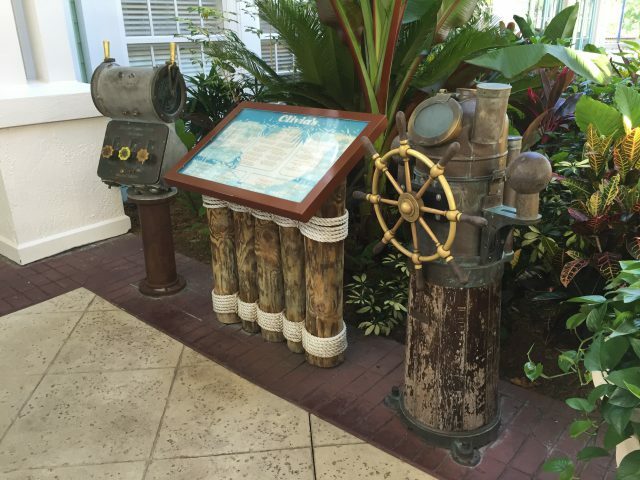 Having said that, welcome to Disney’s Old Key West Resort! 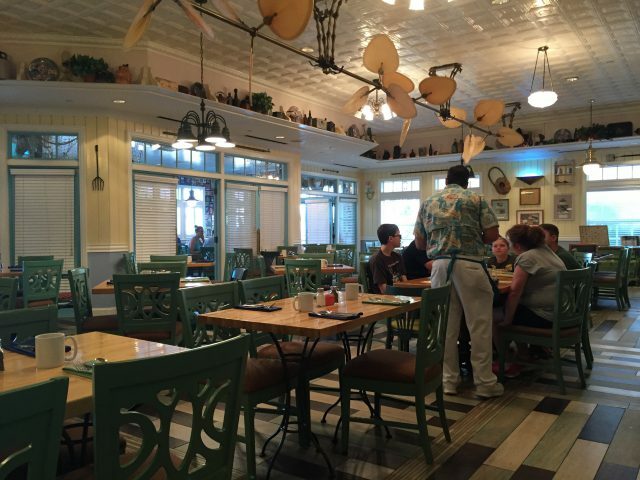 A great place, it’s home to one of our favorite spots – the Gurgling Suitcase! The suitcase is a great indoor (while you feel like you’re outdoors) watering hole. Take a look here! But, today isn’t about Disney bars. It’s about delicious breakfasts! It’s also about a little-known and under-appreciated restaurant. My friends, meet Olivia’s! After a morning walk through Disney Springs, Mrs. All in WDW and I found ourselves hungry for breakfast. Desiring a relaxing sit-down experience, we found ourselves visiting Olivia. 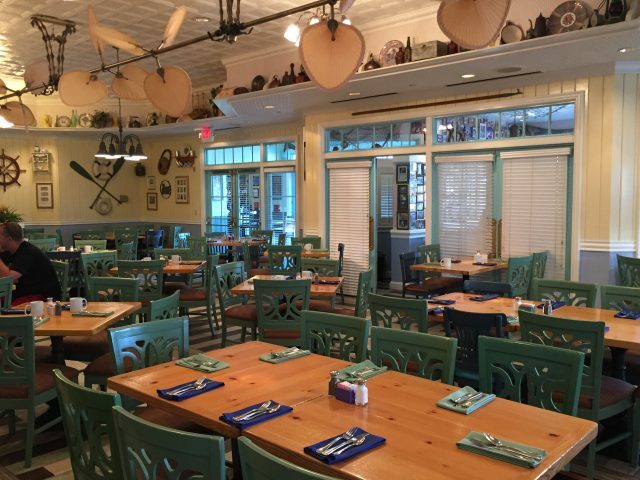 Olivia’s is a very welcoming locale with great nautical decor! 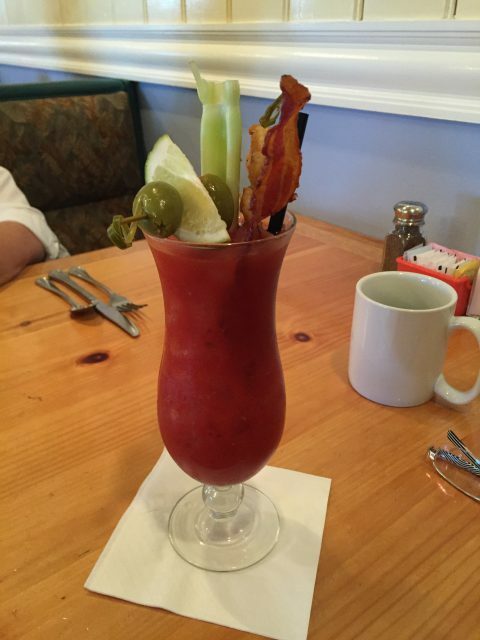 Headlined by a phenomenal Loaded Key West Bloody Mary, their menu is loaded with options! Wow! That really IS loaded! Mrs. All in WDW enjoyed her choice. 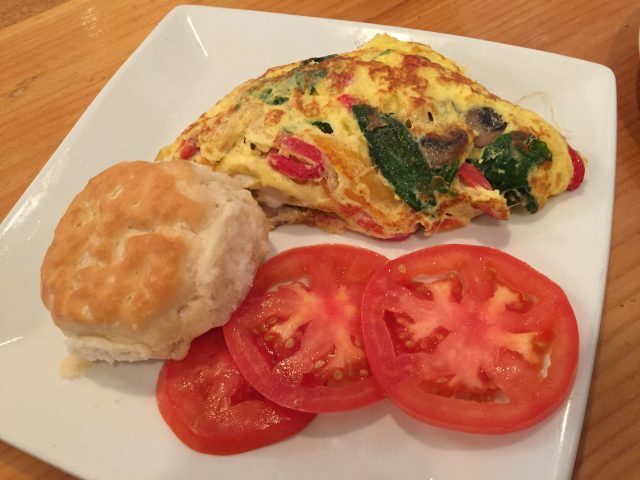 One of Olivia’s delicious omelets. 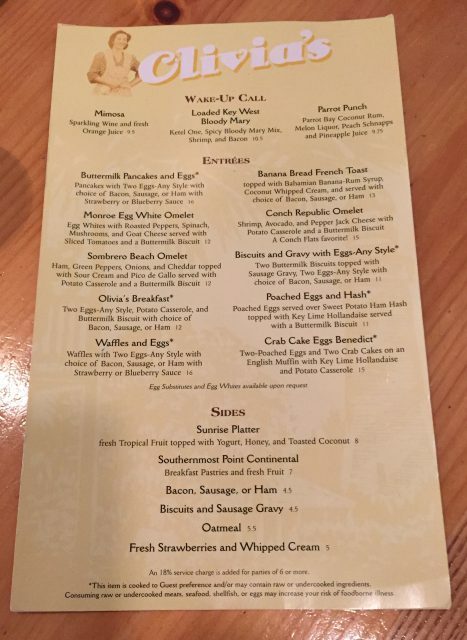 Basically, it was the Monroe Egg White Omelet but with whole eggs and without cheese. 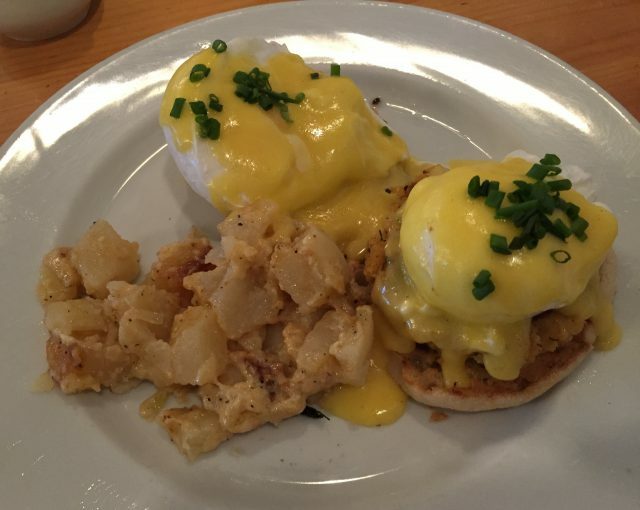 I was enticed by, what I felt was, a much more unique dish … Crab Cake Eggs Benedict. Mmmm. Did someone say “crab cake”? 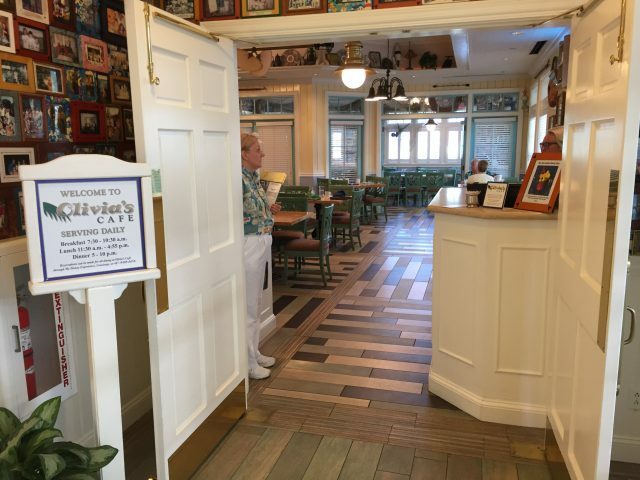 I don’t think it was the best breakfast I’ve ever had – Trattoria al Forno still owns that honor – but it was very good. Definitely not your ‘run of the mill’ preparation, it’s worth having at least once. My friends, Olivia’s is, pretty much, a well-kept secret. But, then, Disney’s Old Key West Resort is under-appreciated as well. If you find yourself out and about and in need of a meal, pay a visit to Olivia. She does a great job! We should keep her in mind!